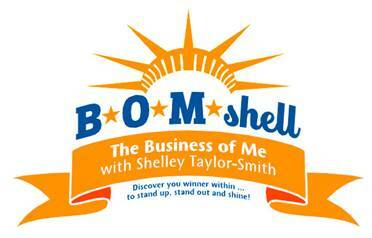 Since our time with Shelley presenting the "Return from Adversity: How to Create Your Champion Brand YOU! Workshop" in May 2011; many participants have gone on to improve and reconstruct their Champion Selves, some ladies have opened a new business; others have confidently added an extra dimension to their pre-adversity enterprise. Collectively we have been busy purposefully reconstructing and planning for a bold future in Business. With Shelley's strong direction and constant reminders of her Tough Love, we have no hesitation in recommending the Shelley Taylor-Smith cure! Create Your Own Champion Brand! I teach the Cutting edge understanding and tools of creating “You Inc” as your own Champion Brand, and how to use your brand to launch “You Inc” to the next level in all areas of your life. I will provide real life case stories, personal experiences and studies backing up what I teach you. I will show you how to discover and build your own “Features & Benefits” model. I will explain in detail how to use the 5 components of the “Passion Pyramid” and why everything in your life is supporting you to grow. I will teach you the 7-step Guide to Building Financial & Emotional Security. We will cover power of being Effective not just Efficient and how this one secret will have you home earlier and happier every day. I will show you which fears may be blocking you from creating a dream future and how you can break this cycle. This one day workshop is available to be held in-house. For more information regarding this workshop... scroll down and complete the form or call Champion Mindset office on 1300 78 41 70. “I just wanted to say thank you for the wonderful “B.O.M.Shell” training you did for our team. Your words & concepts are inspirational and will not only benefit our sales team but anyone currently in business or considering starting their own business. Create your own ‘Goal Planning System’ for Success…..Think like a Champion and Achieve Your Goals! The Champion Goals workshop is designed to outline the key purpose for the year ahead, then to summarise the goals to reach that key purpose. And the best part is, you’ll accomplish your very own GPS and more, simply with the action plan you write! You'll leave the event with a proven system for designing and achieving your life goals .... simple to follow action plan to keep you on track for record success! Are you tearing your hair out.........already? Would you like to be the Champion in your life? Old "tried and true" goal setting techniques that were once successful have completely lost their effectiveness over the years. That's why the Champion YOU factor - it's the missing link - discovered in turning goal setting into goal achieving. This one factor is the difference that makes all the difference in achieving your goals. Discover the winning formula and design your best year ever. With a focused approach Shelley Taylor-Smith will give you the learned strategies so you gain momentum in your goal achievement, seeing you no longer dragging behind and beating yourself up 'cause you quit on yourself and your resolutions. Achieve breakthrough results in you, your work and your life...just imagine bounding out of bed each day with an invigorated focus....a mindset that says "nothing will stop me this year. I'm going for gold." Your gold! The truth is that achieving your goals and what you want in life, your career, your health and fitness, your family and your finances is not rocket science. You do not need a degree, know letters after your name. No, not even heaps of $$$$........... all you need will be laid out simply in a jam packed 4hrs, 1/2 day program - the Champion Goals workshop. At the Champion Goals workshop you are trained by someone who has a proven track record of success. Yes, you get the Success Coach herself, Australia's own 7-time World Champion Shelley Taylor-Smith. Get access to the Champion Mindset and learn how one person's mindset, despite being tagged with "no natural ability", "nothing above average" and "disabled", achieved what no other woman has in the history of any sport worldwide. How to overcome mental blocks, those energy slumps, and your every day frustrations that drain you and reduce your productivity. This workshop will Champion your life, your business, your family and your career! Whether you own the business, manage the business or work in the business, learn the secrets, strategies and techniques that Champions, Entrepreneurs and Managers have been using for years that YOU can implement in your day-to-day life, both personally and professionally. Rewrite your future to create the Champion relationships and goals you have previously only dreamed of into a reality! 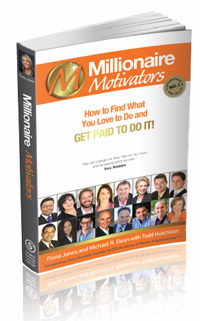 Learn how the Champions create success with their proven techniques and how they work famously well day-in-day-out by people of all walks of life. Champion Mindset is committed to helping YOU create your own Champion Mindset! It would be my pleasure to Champion you and your goals! Be coached by someone who knows how to succeed!!! Note: All entries are confidential and will remain solely with Champion Mindset® Consulting. 15% of all profits of sales of “Dangerous When Wet” goes to the Esther Foundation This riveting story of Shelley's rise to success is uncompromising, spirited, and straight from the heart. A must read for anyone who is struggling with motivation... the perfect read for open water swimmers of all levels. Learn how to absolutely love the solitary nature of the sport and develop the "man-against-nature" mindset which is the key essential to becoming successful in the open-water swim element of your next triathlon. Delve into Shelley's greatest asset, "the most important 6" of your body - the distance between your ears" and the ability to get into your own mind, swim your own race and get in control of your own life. 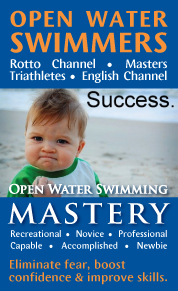 Learn how to turn your love-hate relationship for open water around and overcome your greatest competitor - yourself! The most motivating person I have ever come across! "Many people have tried to help me understand. Finally you go through to me. Finally I understand how to set goals!" "Life changing! Awareness of my negative emotions and learning how to release them – an invaluable tool. Just what I needed." It felt so good to get in touch with those Champion gold medal moments in my life, my feelings and have a resource anchor to bring it all back when I need it." I learned the only person who controls my emotions is me. I can let it go now and handle situations now with more respect for the other person." Removing past negative thoughts and feelings will free me up to move forward to my future without repeating old behaviours finally!" Excited now to move on, excited about today, the next minute and the future. All issues resolved from the past. Invaluable!" "Very illuminating. Gave me guidance and now have stronger foundations to build on my goals for the future." Shelley you stretched me further than I have in a long while. I have been in a place of not quite committing in case I fail for far too long. I am now unstoppable!" Provided clarity and peace. Inspiring from all present. Obtained understanding and now I am released." Looking forward to seeing what the future brings with the new me!!!" I can move on and get on with the life instead of dwelling on the past. I thought it was going to be dead easy. But you made me really think. I do have plans and dreams and they can become a reality. It was a real eye opener." 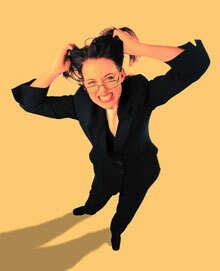 I know that my negative thoughts were making me sick with my CFS. Now I know I will not have any problems with it any more." I previously wandered through life. NOW I visualise areas of my life where I want and know they can be achieved."